Dandronex CT is an anti- fungal lotion that prevent from Dermatitis. Dandruff is an anti- fungal infection that occurs in our scalp. With this condition, our hair starts with flakes and takes the hair off. Fungal infections are usually deeply rooted in our skin. So there are plenty of shampoos that help you to clean them. On the other hand, shampoos are more for immediate and surface treatments, and they do not prevent them from re-occurring or reducing these flakes completely. Therefore shampoos are not as effective for treating dandruff. In this article we will go through some lotions and creams that penetrate deep into our hair and remove dandruff. Choose one of these products to help your scalp improve the condition and remove all the flakes. 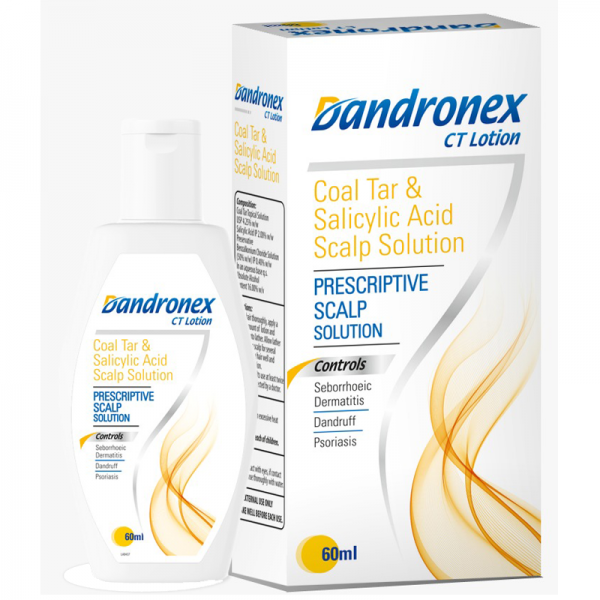 Buy Dandronex CT Online this product has been clinically proven to produce lasting results. It is non-greasy and dermatologically approved. Apply it regularly and see significant difference and it will help to prevent from Seborrhoeic Dermatitis, Dandruff and Psoriasis.